Archaeologists have found a pottery kiln built in early post-Islamic era in Iran’s Shahr-e Rey, describing it as one of the most important evidence of the significance of the city during pre-Islamic times. The kiln has been found in Bahram hill in Moqim Abad of Shahr-e Rey, an ancient city south of the Iranian capital. 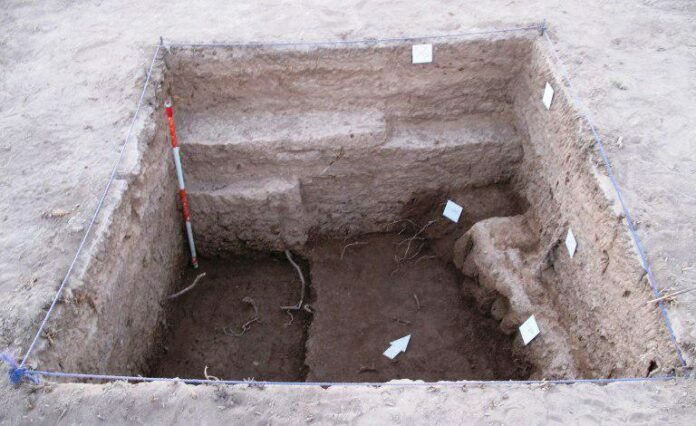 Bahram Mousavinia, the head of the archaeological team, said they have also found remnants of a luxury residence in the area, which is believed to be built during the Sassanid era (224-651 CE). Mousavinia expressed hope searching the perimeter of the hill would help demonstrate the role and importance of Shahr-e Rey in pre-Islamic era and afterwards, IRNA reported. “Excavating the place is expected to give us important information about the pottery industry in early Islamic times in Shahr-e Rey,” he said. According to Iran’s Cultural Heritage and Tourism Organization, Shahr-e Rey is estimated to be built more than 8,000 years ago and it houses several monuments dating back to the fourth and fifth millenniums BCE. In the early Islamic era, it was once a seat for the caliphs of Umayyad dynasty.